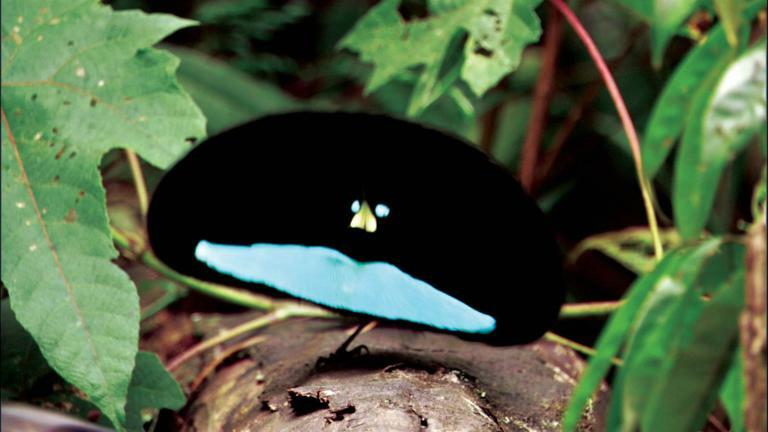 One day, a penguin who had been happy and healthy for years, suddenly started losing his feathers. 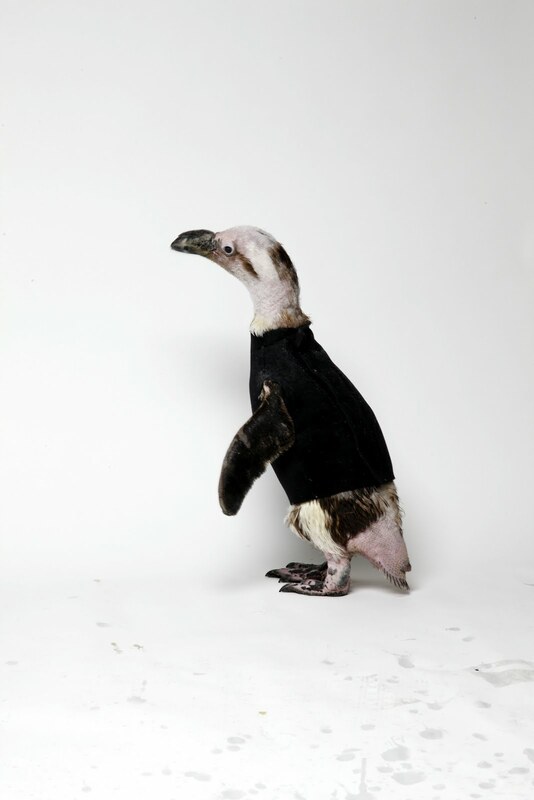 Instead of regrowing the way African Penguin's feathers usually regrow when they molt, his didn't, leaving him looking like the ugly duckling of the flock. Other penguins picked on him as he shivered and found himself unable to swim. But don't worry, this story has a very happy ending! See, Pamela Schaller, biologist at the California Academy of Sciences, Pierre's home, found a way to help poor little Pierre. 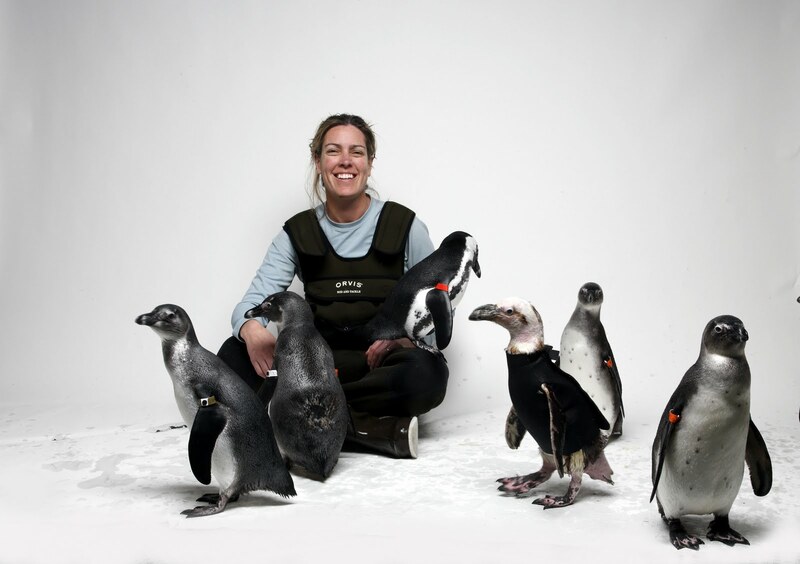 She designed a teeny tiny wet suit for the little penguin. The wet suit allowed Pierre to start swimming again and kept him nice and warm both on land and in the water. The other penguins stopped picking on him and life went back to normal, so much so that his real feathers started to grow again. Today Pierre is living happily with his mate Honey at the brand new California Academy of Sciences, surrounded by the rest of his friends and family. 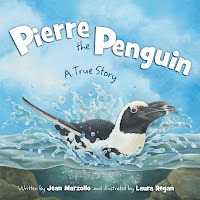 And thanks to Jean Marzollo and Laura Regan, who were inspired by his plight and wrote a delightful children's book, aptly named Pierre the Penguin, kids around the world will be able to learn all about him and his teeny tiny wetsuit. We got the book yesterday and C and Little L have already read it multiple times. Today C is even bringing it to school to show her friends and teachers. Pierre's story is a really inspiring tale about being different, about helping those in need, and really about enduring love. I think it will be in a favorite in our library for a long, long time! 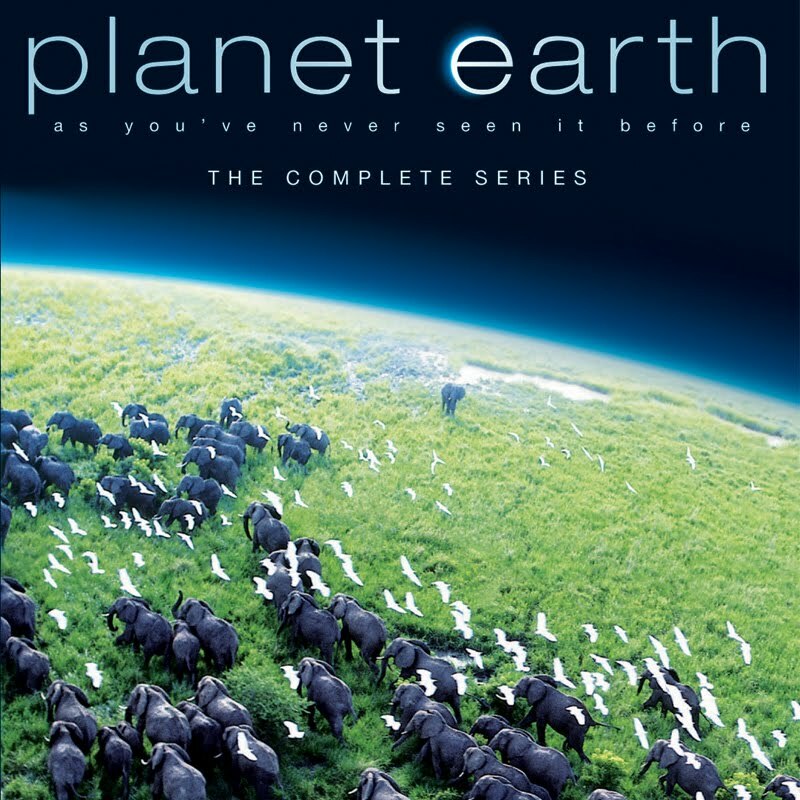 We have owned the Planet Earth DVDs for years now, we love watching the incredible footage taken of the most remote places on the planet. It's somehow both incredibly soothing and inspiring to watch the most hidden parts of the world unfold in front of your very eyes. My favorite parts of the DVDs happen to be the "making off" sections which never fail to blow me away. You know that penguin movie? People filmed that stuff. For months. In the cold. Think of that next time you're unhappy because it's 40F or something near home. Brrr. But don't worry, you don't have to take my word for it. In honor of Earth Day you can download your very own episode on iTunes and take the show for a spin.The show will be available for free download from now until April 26th, so hurry! I hope you fall in love with this series too. 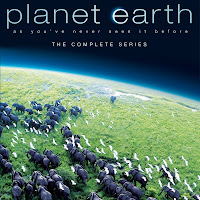 Our planet is precious and if it takes shows like Planet Earth, or Blue Planet to make us remember that then so be it! Here's a sneak preview! How cute are these two?